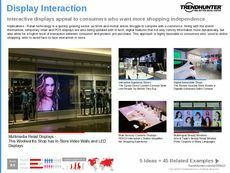 Find Better Ideas, Faster ® with a custom high-tech fashion trend report, our PRO Dashboard and 80+ categories of premium trend reports. 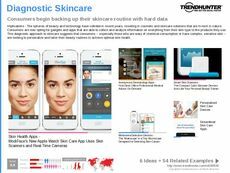 The High-Tech Fashion Trend Report outlines how advances in technology are slowly being incorporated into the realm of fashion. 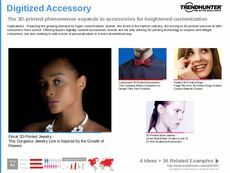 This report delves into examples of tech-enabled clothing, WiFi-connected accessories and app-connected fashions. Furthermore, this report will look into the growing number of weather-specific clothing staples that cool or heat those wearing them. 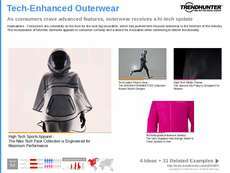 Special attention will be paid to activewear that uses technology to enhance comfort and athletic performance. This report is geared towards fashion designers, tech developers, and research personnel. 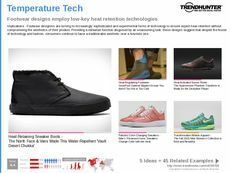 Marketers and advertisers working for athletic retailers can also utilize this report to gauge consumer interest in specific hi-tech fashion garments. Our crowdsourced research reveals broader patterns in consumer preferences, which can be used to springboard ideas for future designs. 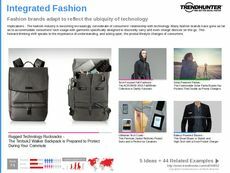 The Hi-Tech Fashion Trend Report is a comprehensive list of the most relevant examples within this growing field. Use our research to stay informed and competitive in this fast-moving industry.